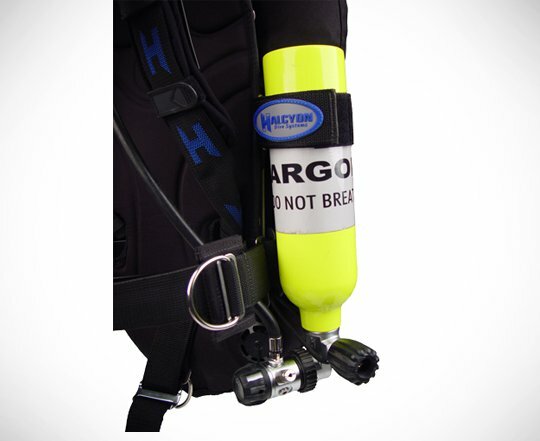 Cold water, long bottom times, and/or helium-based mixes encourage divers to seek an alternative means to inflate their dry suit and an argon inflation system is an answer to this. Earn up to 137 Points. Cold water, long bottom times, and/or helium-based mixes encourage divers to seek an alternative means to inflate their dry suit. The use of a secondary bottle filled with Argon is the most common method used to increase the insulation properties of thermal garments, especially when using significantly lighter breathing gases such as helium mixes. 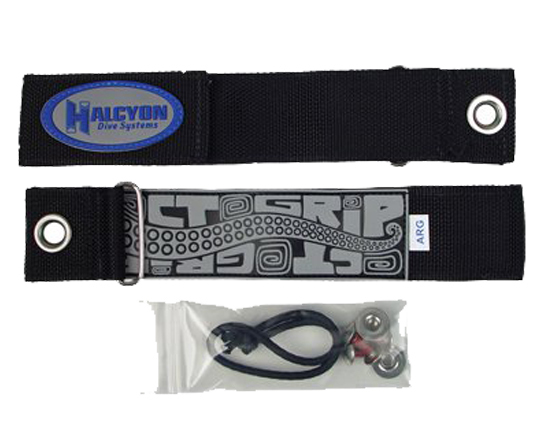 Halcyon offers two time-tested methods, providing quick, secure, and lightweight mounting options for drysuit inflation sources. An additional inflation bottle, regardless of whether it is filled with argon or air also provides a totally redundant inflation system. 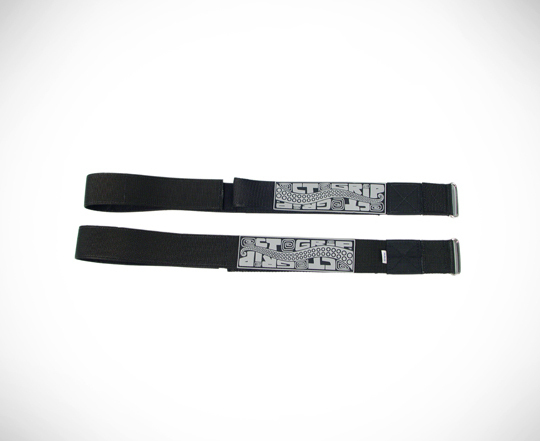 Available in 6cu or 14cu mounting straps.